I assume if an airport employee touches my bag, it will end up lost or the contents broken. Is this true? Probably not, but I've had enough bad experiences in my life to be wary of checking baggage. Today's increased check baggage fees offer an additional incentive for planning ahead and packing light with only a carry-on. 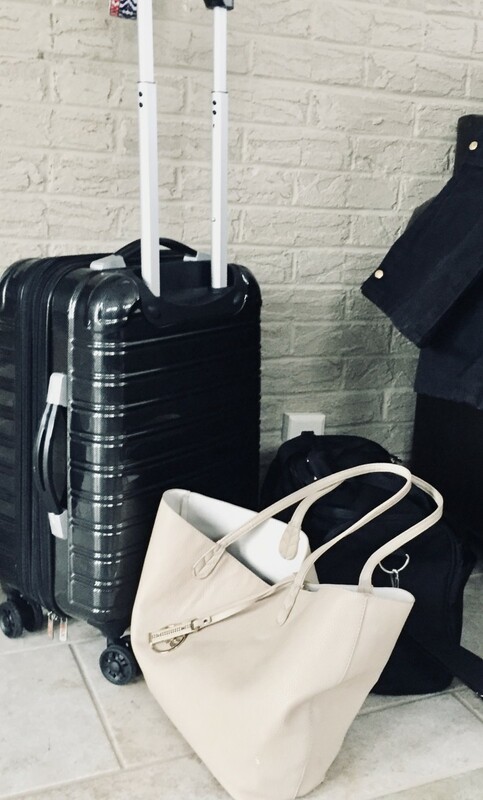 Conventional wisdom states that carry-ons are for a spare outfit or weekend trips, but it is possible to travel using only carry-on luggage, even if you're taking a week-long trip. Follow these basic tips to save yourself money, time, and hassle by traveling only with a carry-on. These packing light tips are applicable for any type of trip and are easily adaptable to suit car, bus, train, or even boat travel. Even the TSA rules regarding liquids are useful guidelines for anyone who wants to minimize space devoted to toiletries. If you're interested in learning how to follow these steps to save money and hassle, read on! It's amazing how many outfits you can create with a simple pair of slacks and a shirt. Wear them plain, add a jacket, wear with a scarf, or add a statement necklace to create four different looks with two basic wardrobe pieces! Don't just throw a lot of extra clothes in your bag for no reason. Think about your trip and what you are likely to wear. If you're taking a beach vacation, a fancy suit or dress and accompanying shoes may not be necessary. If you're taking a business trip, multiple casual outfits might not be needed. If possible, coordinate your outfits to take advantage of the same piece multiple times. Does one bottom work well with three different tops? Can you pack multiple outfits that go with the same pair of shoes? I like to begin planning at least a week ahead of time. I mentally, or physically, set aside the clothes I want to bring. Each day, I look through them and ask myself "Will I really wear this?" If the answer isn't an absolute yes, I move it off the list. How many times have you returned from a trip with clothes you never even wore? While it is nice to have a backup change of clothes, remember that you can always find a way to do laundry. Whether you have to use a hotel laundry service, laundromat, or wash something in the sink, you can always get clothes clean while traveling. Even if you are not traveling by plane, or if you decide to use a checked bag, planning your outfits is useful. 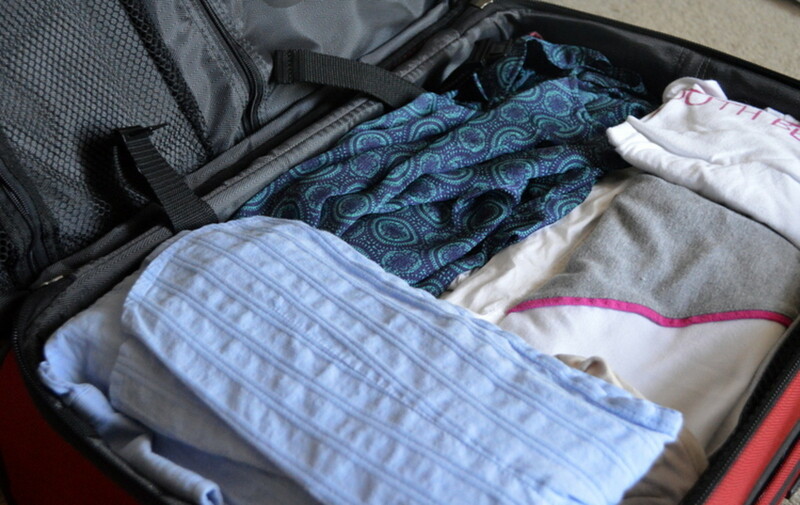 By eliminating unneeded clothes, you can free up space for other necessities (or souvenirs!) and can reduce the frustration of digging through an over-stuffed, over-sized bag for that one shirt you simply must wear right now. Do not throw everything into your carry on haphazardly. This makes it more difficult for security scanners to see your luggage and can lead to hold-ups, particularly if agents decide they have to check your baggage by hand. Place clothes in a layer, lay electronics and coiled cords out evenly, and then place additional clothes or shoes on top. If you are a fan of rolling clothing to save space, you can still pack in layers. Packing in layers refers specifically to separating clothing, electronics, shoes, and other items within the bag to make it easier to scan. By keeping bag contents organized and electronics neatly packed, and together, you make your bag easy to scan, which reduces the time you have to spend at security checkpoints. Plus, more organized bags are easier to unpack and neatly folded clothing takes up less space. It's a win-win situation. If you've pared down your outfits and still have just a little too much to fit, consider using vacuum or zip-lock bags. 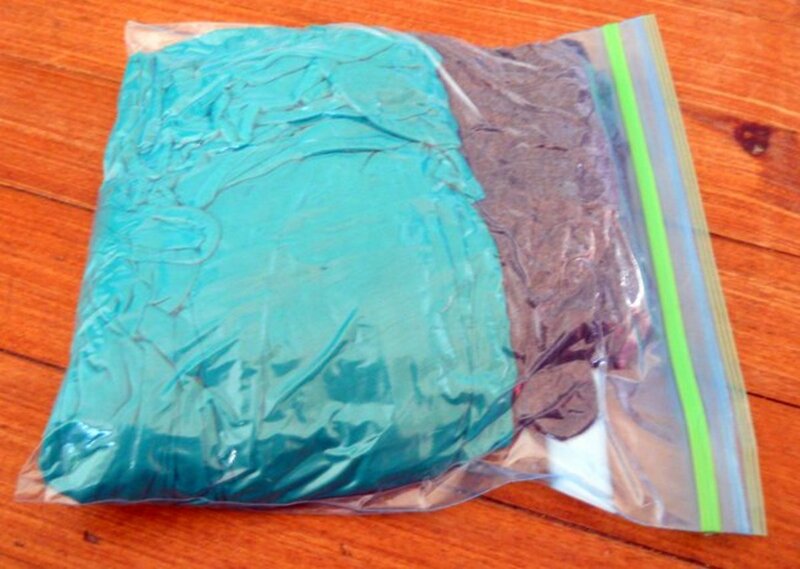 By putting your clothing in a zip-lock bag, you can press the extra air out of the garment and seal the bag. Vacuum bags allow for even greater compression. For a demonstration of how much space you can save by packing in zip-lock bags, take a look at the photos to the right. I used regular, gallon-sized freezer bags and dramatically decreased the amount of space taken up by clothing. My two dresses, folded and stacked, were almost 4" high. By placing them in a zipper bag and removing as much air as possible, I reduced their combined height to an incredible 1.5"! Purpose-built travel vacuum bags offer greater convenience and even better space savings. Liquids in containers up to 3.4 oz in size are allowed in carry-on luggage, but all liquids and gels must fit inside one single quart-sized, zip top bag. Liquids do not have to be in their original, labeled container. Research prohibited items, liquid restrictions, and luggage size restrictions. Common wisdom is that, in the United States, you have to carry only 3 oz bottles (or smaller) of liquids and all bottles must be contained in a single, quart-sized zip top bag. This is called the 3-1-1 rule: 3 oz, 1 bag for each person. This is only partially true. The regulation actually permits liquids up to 100 ml, which is 3.4 ounces. This is an important difference - many personal products already come in 100 ml, or smaller, sizes. This means you do not necessarily have to run out and buy all new 'travel size' toiletries to fly. Over 70 countries currently comply with TSA carry-on liquid restrictions, so unless you know for a fact you don't need to follow the 3-1-1 rule, follow it. To be safe, place anything you might possibly consider a liquid in your quart bag. Technically speaking, stick deodorants are allowed without restriction in carry on luggage, but the existence of gel and semi-solid deodorants means some TSA agents require deodorants meet the size and containment regulations, too. Check yours - it may actually contain less than 3.4 oz and be acceptable without purchasing a travel size. Disposable razors are allowed in carry-on luggage, as are all medically-needed liquids or liquid medicines. Baby formula, liquid medicines, and even beverages are permitted if needed, just make sure to declare them at the TSA checkpoint. To answer any questions about specific items, check the TSA website. Make sure to check your specific airline's carry-on size restrictions, but pay special attention to the largest plane's restrictions. Smaller planes have less room for carry-ons, but airlines understand that you may be taking a commuter plane to a larger airport and longer flight. Many permissible carry-ons do not fit in the overhead compartments on smaller planes, but airlines allow you to 'gate check' these bags for free. You simply leave your tagged bag on the walkway before takeoff and pick it up on the walkway after arriving. 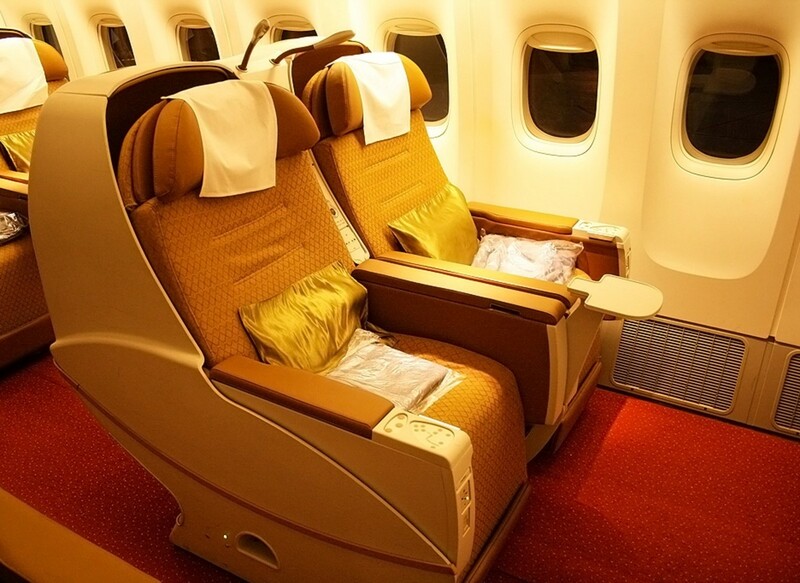 As long as your bag meets the larger plane's carry-on restrictions, you are good to go. In addition to your regular carry-on, you are allowed one 'personal item.' This can be a purse, laptop bag, or diaper bag. We all know how much ladies can carry in their purses! I never carry a huge purse in 'real life,' but when I travel, I keep my laptop, iPad, quart bag of liquids, and more in my extra-huge purse. Men can take advantage of a laptop case, large shaving kit bag, or rucksack to carry an extra shirt and/or pair of pants - just think of it as extra padding for your electronics. Ok, so technically this doesn't have to do with packing, and some people may disagree with wearing slip-ons for air travel. Years ago, women weren't supposed to wear heels on planes because they would allegedly rupture the aircraft's hull. Then people said to wear sneakers or something easy and safe in case of an accident. Today, I think wearing slip-ons is the best plan. This doesn't necessarily mean sandals - slip on athletic and dress shoes exist, too. You have to remove your shoes at the TSA checkpoint. 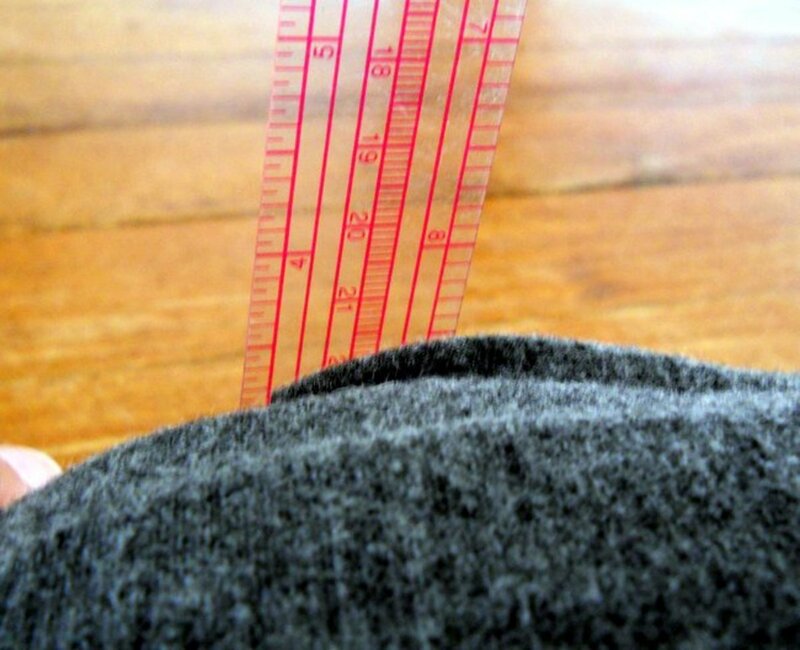 Wearing slip-ons helps you quickly prepare for screening and get redressed without holding up the line. When choosing your slip-on shoes, you might want to choose a pair that allows you to wear socks - unless you like standing barefoot on the airport floor! How well do you Know TSA Regulations? Why Pack Light with Only Carry-on Items? Packing light is a sure way to make your life easier. You can save money on checked bag fees, reduce the amount of weight you have to lug through the airport, and eliminate waiting waiting at the baggage carousel instead of starting your vacation. Even if you aren't ready to travel with just a carry-on, packing light is still beneficial. Many airlines today charge extra for overweight bags, or simply won't accept heavy bags. Reducing the amount you pack also makes it easier to carry your bags, especially if you have to take airport shuttles or taxis. While it wasn't a carry-on, I backpacked in New Zealand for 5 weeks out of a single bag. I even managed to fit my sleeping bag inside it! Planning ahead and careful packing are key. 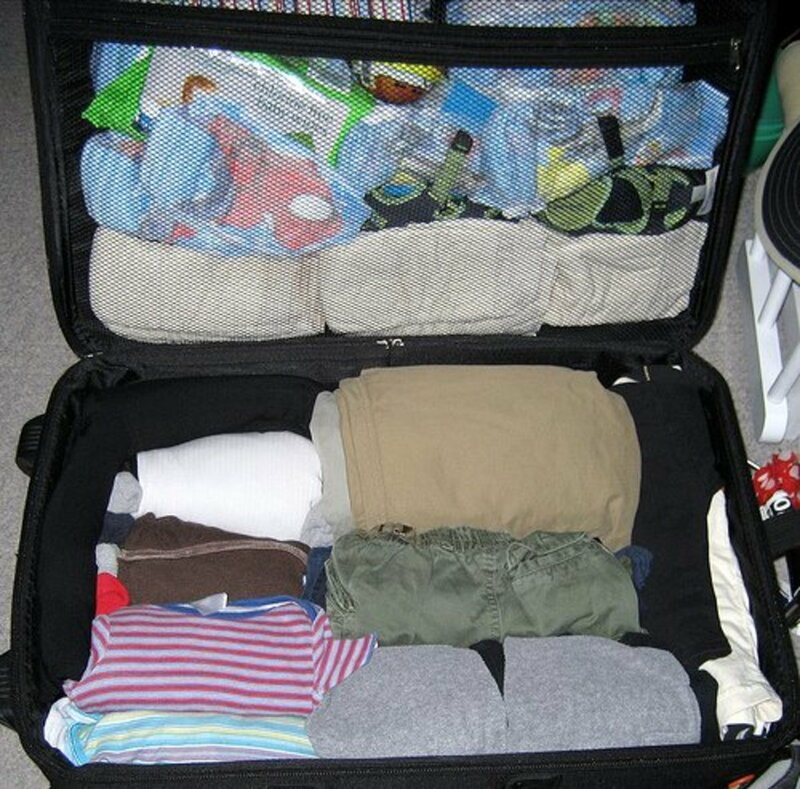 By being honest with yourself about clothing and items you really need, packing with zip-lock bags (if necessary), and following current airline restrictions, you can easily take only a carry-on along for most trips. Just think of it as a puzzle to be solved and allow yourself to be proud of your packing results and prowess! If you feel like you're got packing down pat, but are looking for advice on how to make your airport and airplane experience more relaxing, check out my air travel tips on how to get through security quickly, prevent deep vein thrombosis while flying, and ensure you can catch an in-flight nap. When we travel for work, we bring checked-in suitcases for food that we can't get wherever we're going but for holidays of 3 or 6 weeks, we just have carry-ons. Most of the time, we over pack. Great tips. There are hotels with in-room washing machines? I've never stayed in one of those! I like wearing leggings, but usually under a pair of pants because I get cold easily. My daughter has been travelling light lately, and it's been an education for me. Since I often wear leggings, I think they are great for trips. They take up very little space and you can wear them comfortably when you sleep. 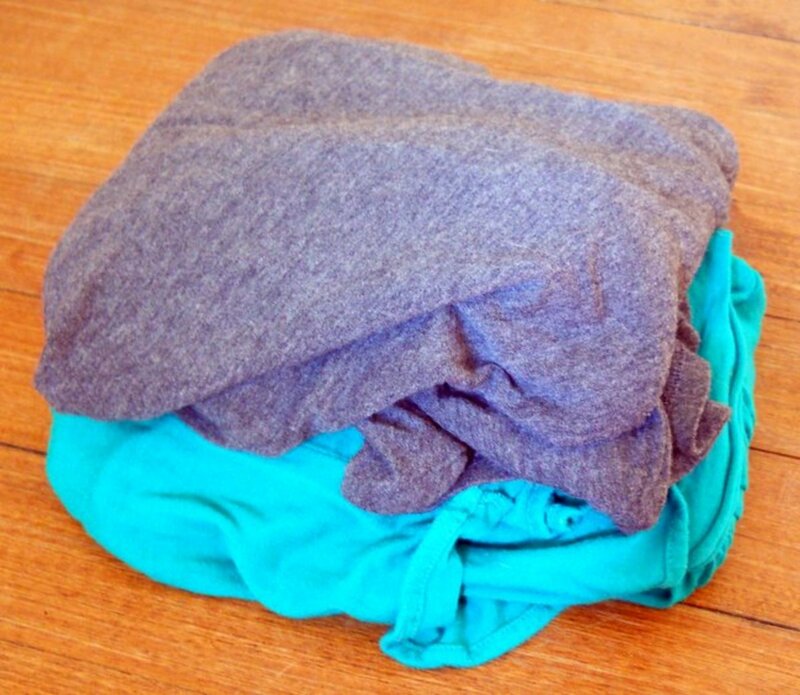 You can even wash a pair overnight in the bathroom sink and towel dry it in 30 minutes. That is, if your hotel doesn't already have a washing machine in the room. Ha - travelling is fun though! I've done a lot of traveling recently! Being with a Navy man seems to entail a lot more traveling than my life prior to him. That's fine, but it has certainly taught me a lot more about packing! I am glad you found my hub useful and thanks for stopping by. Some awesome tips here. I always encourage people to travel hand luggage only. The key really is in the planning. 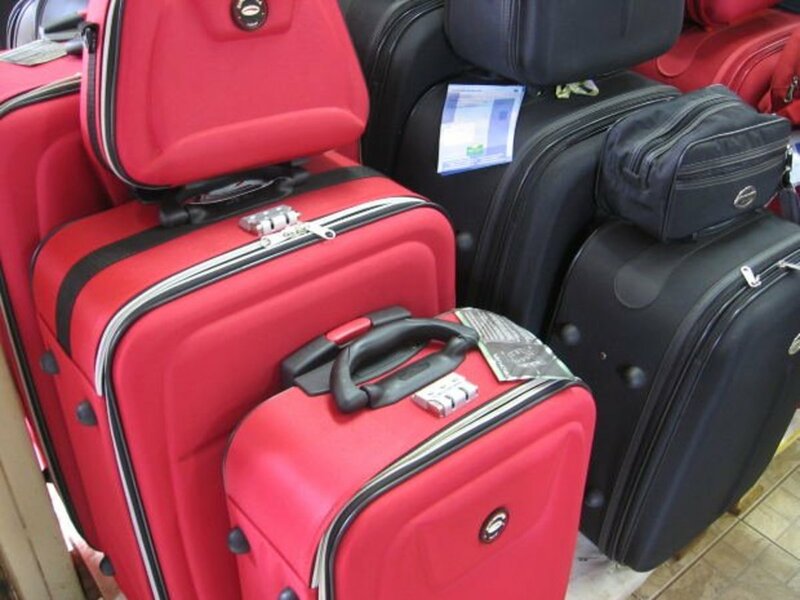 This http://cabinbaggagesize.co.uk/travel-hand-luggage-... site also offers some good packing tips too like using a packing list which stops you taking stuff you are not going to use. I love the tip about the socks in shoes too - took me a while to realise how useful that space is myself! May have to get some of those compression bags too. Thanks for this really useful hub. Thank you! It may seem odd to fill even your shoes, but it really helps. It's super smart to take advantage of everyone's personal item, too! I'm glad you were able to get some preparation prior to your flight! I love my little wheeled carry on bag! They usually do make you gate check it on the commuter jets, but I love how much I can fit in mine. Thanks for stopping in! Thanks for all the good tips. I guess one thing about packing light is that you have a lot fewer items to worry about. It really is so much nicer! I have to admit, though, I am planning a trip with lots of check bags soon! I'll still keep my carry on by my side, though. Great advice for traveling light. A few years ago I was doing a lot of traveling and could just about manage a week with a carry on only bag but that was only after several trips and hassles with checked bags and then trying to get to the car rental desk. 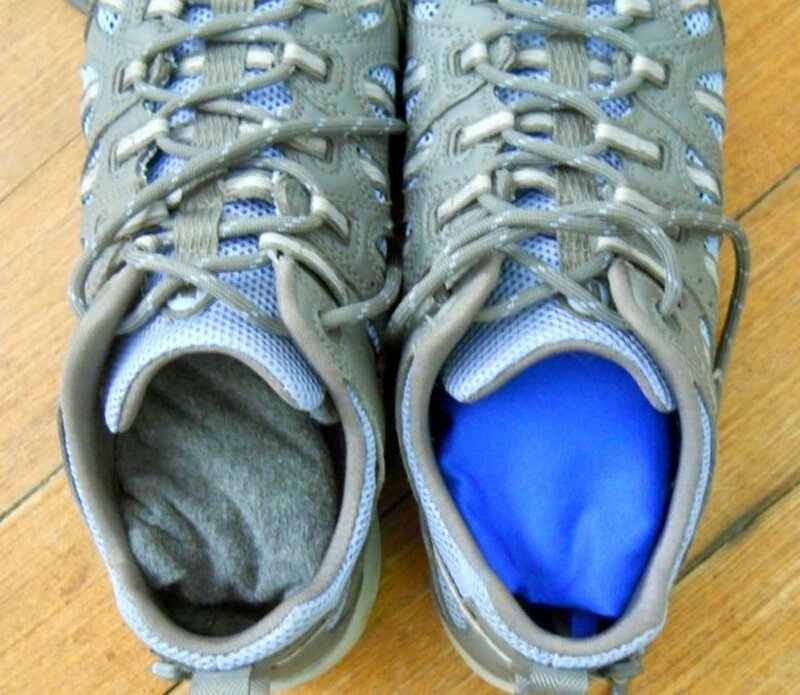 Great how to pack, walk on and walk off tips here. Yep! I am actually in an airport right now and I ended up taking a check and a carry on. I really hope my check bag made it and isn't stuck in Japan! You hub is just amazing! I've had so many bags show up late or damaged it's just unreal. Hahaha - of course lost bags would sneak up when you thought you were in the clear! Go figure. Another good reason to have a carry on is delays. I had a delay last year that ended up keeping me in Atlanta for the night. People with checked bags didn't get them back and had to stand in line for a bag of toiletries and a free sleeping shirt from Delta! Between baggage fees and lost bags, I have started taking only carry-ons, even for international trips if I can. I figure if I can take enough outfits to mix-and-match, there's always going to be a laundry facility (even if it means my bathroom sink). What surprises me is, my family and I took a RTW a few years ago and didn't have one lost bag until the flight home from JFK. Funny, huh? I agree about the slip-on shoes; I hate holding up TSA lines to take my shoes off and put them back on! Yes, I didn't fly for a while after the shoe thing started and I forgot about it! I was wearing flip flops without socks =( I was sure I would get some horrible disease! Having traveled a dozen times on an airplane in two years, I definitely agree with your packing tips, especially the shoes. Always wear socks and shoes to the airport because no one should walk barefoot for a moment at a check-point. And folding is so important. Packing well is a skill and you have to practice! For better or worse, I went on a lot of trips as a kid. Car, bus, train, plane, all of it, and my things would usually have low man on the totem pole priority so I had to learn to pack smart if I wanted to bring the things I needed. I learned a lot from this. I'm not very good at packing so I need all the help I can get. Quite honestly, I like to bring way too much extra clothing. I make sure I have the clothes I need and then pretty much throw in extras until my bag is full! For anyone worried about having enough extra clothes, I suggest visiting an outdoor/camping store. They make a lot of basic shirts, underclothes, etc. that are designed to be antibacterial/stay fresh and wash quickly in a sink and then dry overnight. I have a couple items like this that served me well when I backpacked in New Zealand. This hub is amazing! Thank for every suggestion! I found the clothes in shoes idea really interesting. How many extra clothing is actually enough? One extra top and undies is already good for me but a friend of mine keeps worrying herself on this matter. What do you say? I've worn some pretty weird looking footwear to get it out of my basso I totally understand! I try not to on the outward bound journey, though. 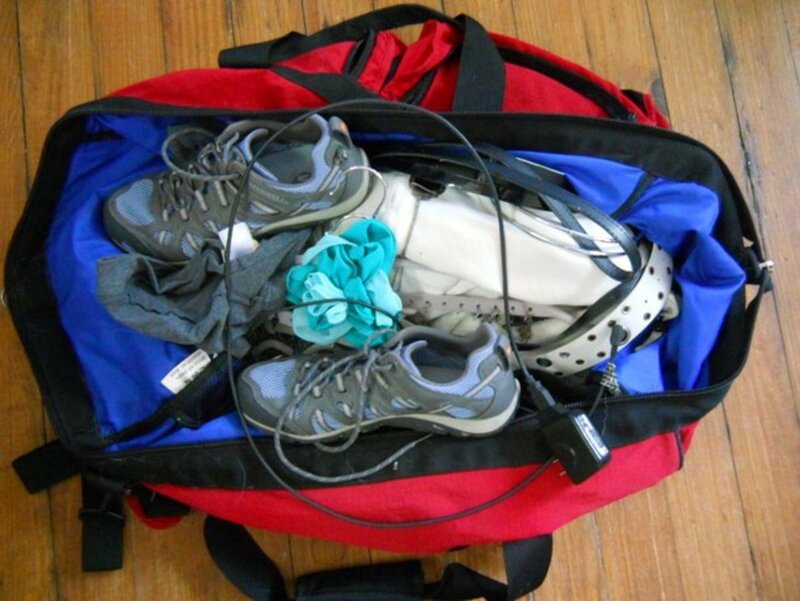 If you're scrunched for space when you're leaving home, how will you get the extra junk you buy back in your bag? I only carry on luggage. And I def agree with the slip on shoes for security. The only time I ll break that rule is if I have a pair of shoes, like boots, that take up a bunch of room in my bag. Then I will wear them to save space. Great tips! Nice! You just need to plan ahead a bit and it really is possible. Thanks for stopping in! Your suggestions are really useful, Natashalh. I have a friend who has got her packing down to an art. She and her husband only ever take carry-ons for their vacations. It can be done. Thank you, denisemai! Yeah, the fees are pretty absurd! And someone told me people in the UN were talking about some sort of global airline surcharge. I highly doubt that will happen, but it's expensive enough, as is! Wow. I guess I don't really know the regulations that well. Thanks for the great info. I hate having to pay extra for checking bags. 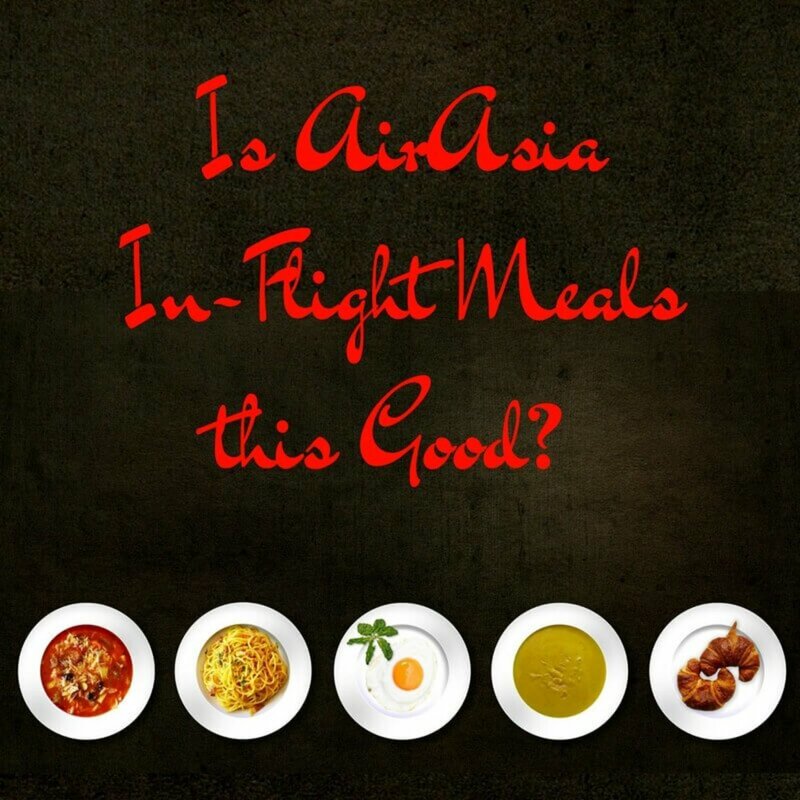 As if the airfare isn't already expensive enough. Sharing! Yes, I can imagine it would be difficult with kids! I flew trans-Atlantic several times as a child and I know my carry on allowance (which was much greater then) was used up with coloring books and games and such. Thanks for stopping by! I've had delayed and lost luggage too. When I was single I would travel with only hand luggage, more to cut down on time at the airport, but with a family we don't seem to be able to get away with it. Good tips! For a year would be a huge challenge with just a carry-on! And would probably involve a lot of buying new things at your destination. Thanks for stopping by and commenting/voting/sharing - have fun when you take your year-long trip! Some great tips there. As my next trip is for a year, I doubt I will get away with carry on luggage only, but I am going to check out the personal item ... as a laptop bag and backpack would REALLY help. Wow. Nice! And good luck at the interview! Best of luck with the trip tomorrow! If your kids are going along, I hope they enjoy their first flight. Delta, at least on longer flights, is still handing out the kiddie wings (I was handed a pair recnetly. I just accepted them without arguing that I'm a lot older than the target audience). I'm glad (and sorry for you!) to finally have someone else stop by and say they've also had luggage problems. I was beginning to think I am a special target or something! To me it just isn't worth the risk of ruining a trip by only taking a check bag. I'd rather have fewer clothes, but something to wear. Thanks for stopping by and I hope you can save some space with ziplock bags! I have had similar experiences as you with airlines losing, misplacing, or sending my luggage to another country. It is so frustrating to go on vacation and not have any luggage. I once had to wear my husband's underwear while on vacation and he loves to tell that story! Now I only take carry-on but am always trying to be more efficient. I love the zip-lock bag idea and will use it on my next trip. Thanks for the great tip. Excellent hub with lots of great tips. Voted up and useful. Thank you, vespawoolf, for stopping by, commenting, and sharing! 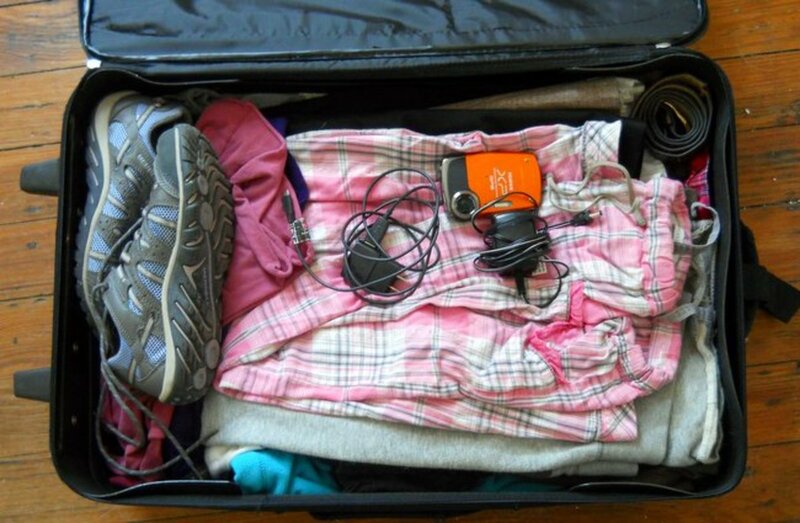 I hope these tips help you pack more efficiently when you get the chance to travel. 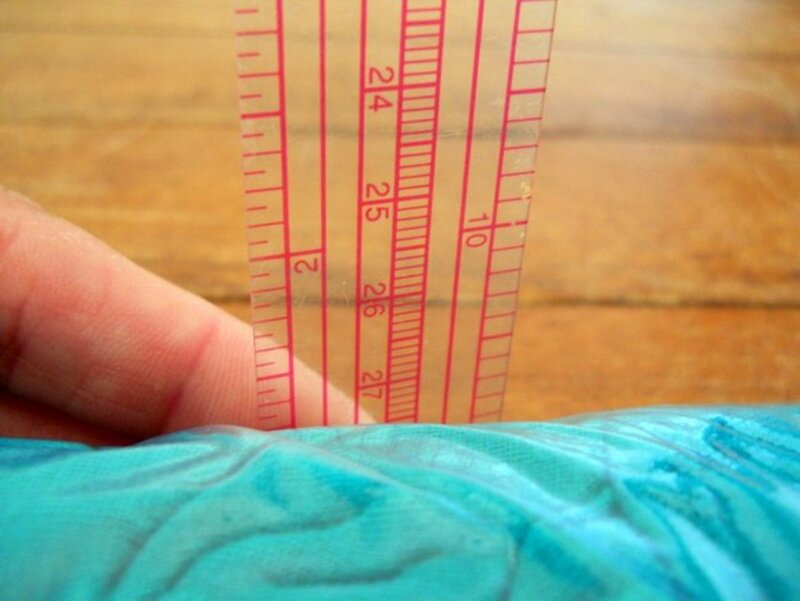 LetitiaFT - it's amazing how much space you can save by sealing up your clothes. They might turn out a little more wrinkled, though, so just be prepared for that. Thanks for linking my hub! Fabulous hub! Just linked to it in one of mine. I totally agree with you on how much easier traveling can be when you keep all your electronics together. I can't wait to try your gallon freezer bag trick. Thanks for the tips. These are great tips, especially packing in layers and wise wardrobe selection. I really take advantage of my personal item allowance, as well! Great tips...will review them again before I travel next. Voted up and shared! I used to travel all the time, but I hadn't much in the last four years (since graduating for college, really), but I've finally gotten back to it and I, loving it! Look at you, the traveling expert....unfortunately, I don't travel anywhere. Sigh! Sad but true! But if I ever do I'll have your great suggestions to guide me. Nice! Five weeks with such light luggage is impressive. When you're traveling, you'll see people you a) don't know and won't meet again and b) don't know if you wore the same pair of pants yesterday, so mix and matching for different outfits really is the way to go. Thanks for sharing your awesome packing success story, and thanks for stopping by! Thanks Natasha for the great advice. One I travelled to Ireland, England and Spain for 5 weeks with only a carry-on and one other small bag. I took full advantage of one good pair of jeans, one pair of black pants, tennis shoes and one other pair of shoes. I added several blouses and t-shirts, a sweater, sweat pants and t-shirt to sleep in. I was amazed that I was able to go five weeks with only those clothes, but I did it! I had to wash a few things along the way but it wasn't a problem. With all the restrictions in air travel these days, these kinds of Hubs are very useful for those who travel a lot. Thank you! Thanks, teaches and MazioCreate! Running through an airport with too much junk is really terrible, and sometimes sitting around at the gate trying to watch it all is just as bad. In some ways it is easier now that we can only have limited carry-one's because it removes the temptation to bring far too much. Great ides and easily put into place. 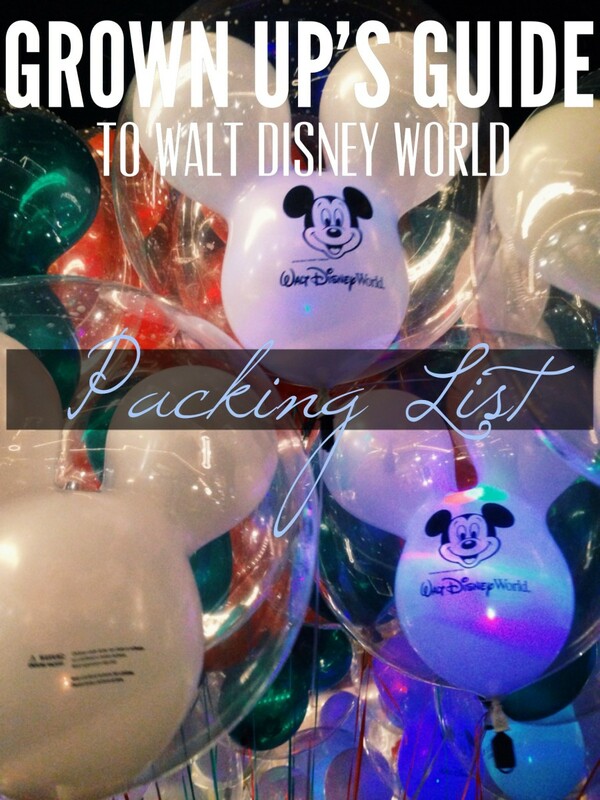 You have condensed the info as much as you condense your packing. Voted up! I believe you have mentioned all the key elements to having a successful trip. 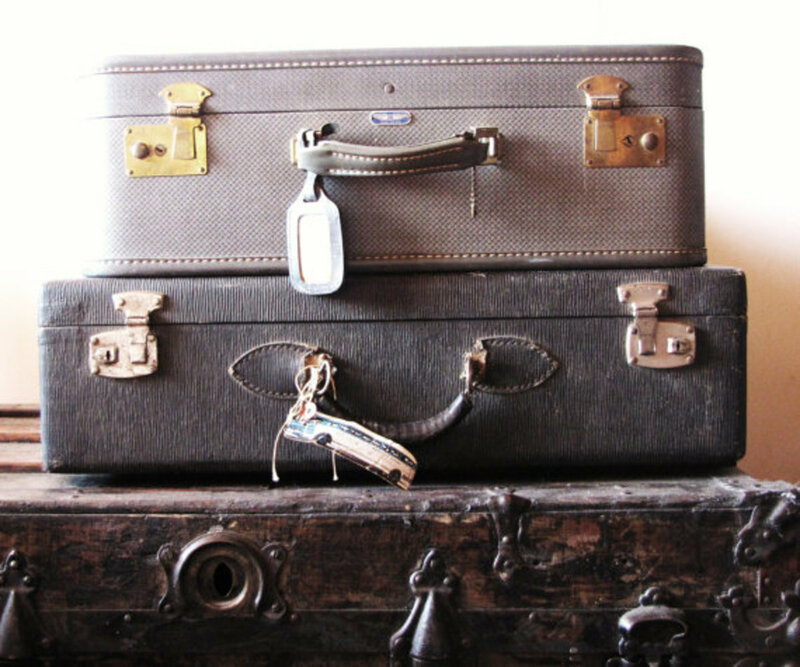 I always tell my guests to pack light so that they can transition between flights easily. Very well done. Thank you! I've done some flying recently, and am about to fly again, so these thing are really on my mind. Thanks for stopping by. Wow - I seem to have everyone's bad luck! I even had a bag tagged for the wrong destination once, but noticed as the airline employee put it on the conveyor belt and was able to have them pull and correct it. I was flying to Marseilles, France, and they somehow tagged my bag for Tehran! Out of dozens of trips over the years, I've only had one delay on getting my baggage, and it was less than a half hour wait. I'll count myself lucky! Wow - that's amazing! I've had so many bags show up late or damaged it's unreal. I even had a bag ultimately send to a different airport and delivered home by Fed-Ex about a week and a half later. My family also got a bag off the carousel once with a boot print on it. Sorry you had so many bad experiences. 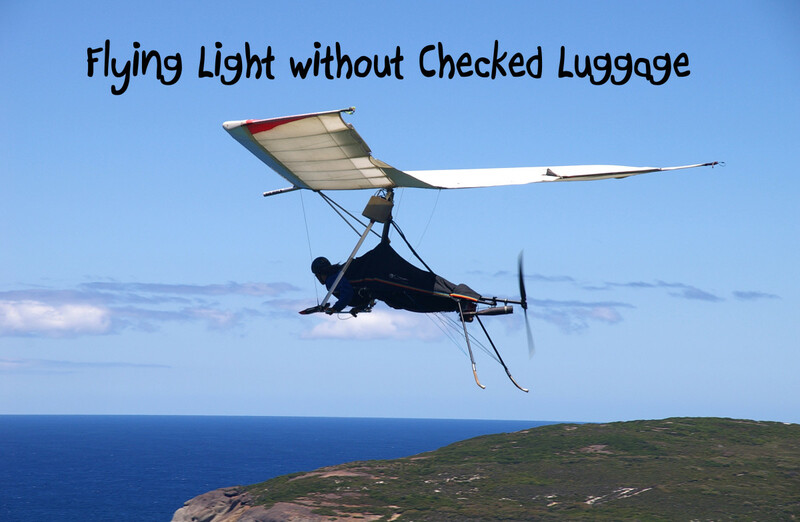 I have flown over 21 flights from US to Australia and not one bad luggage experience. Try flying United. Only one out of 21 late.